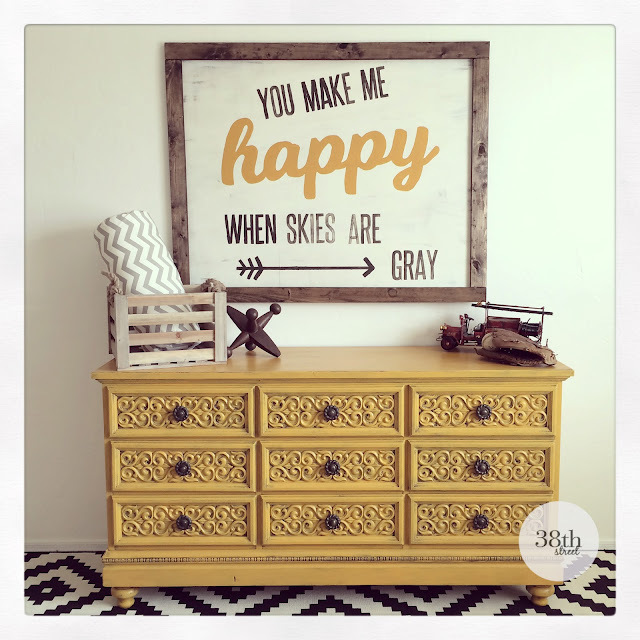 *Country Chic Paint provided me the paint supplies to create and design this furniture makeover and DIY project. All of the opinions and thoughts contained in this post are honest and 100% my own. 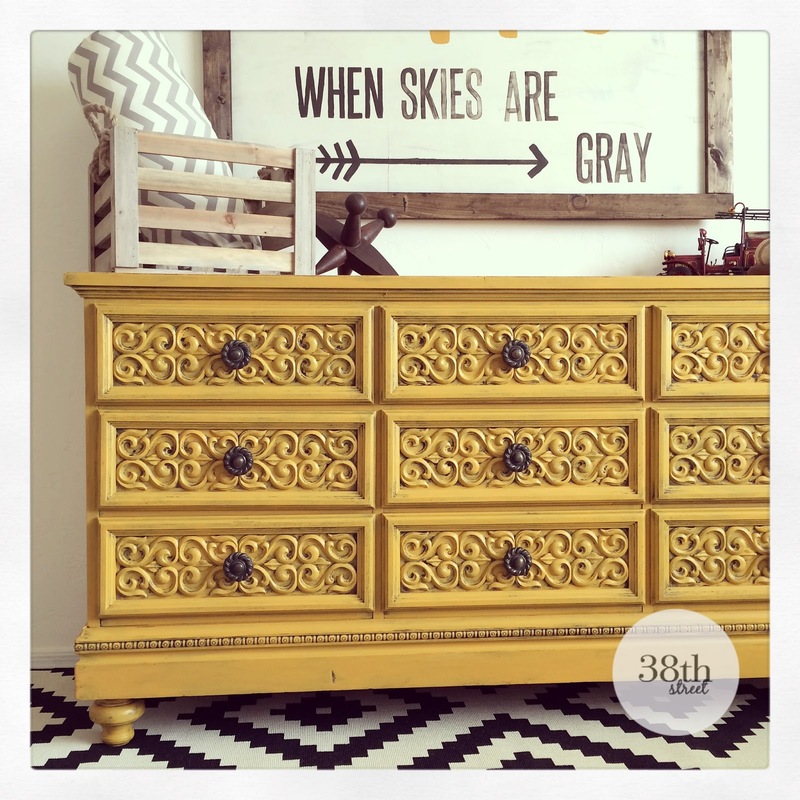 I am excited to be able to share another Guest Post at Country Chic Paint today! I decided to go big & bold or go home with this next transformation! 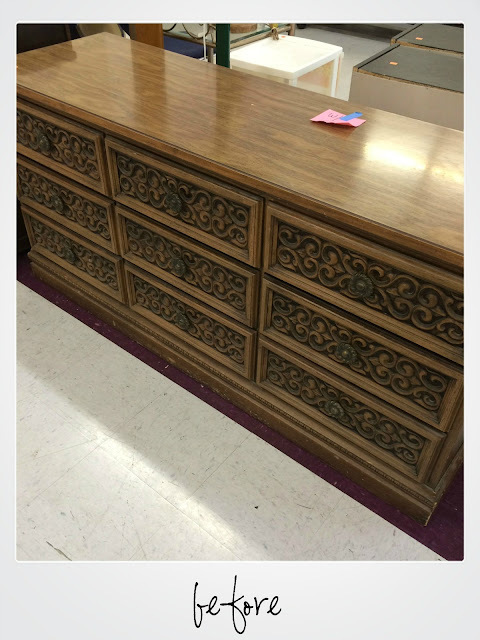 I found this Old World dresser at my local thrift store. It possessed nine clean drawers and amazing hardware and it had me at swirl. What it lacked in height, I could give her and what it lacked in color... well my heavens, I could fix that too! 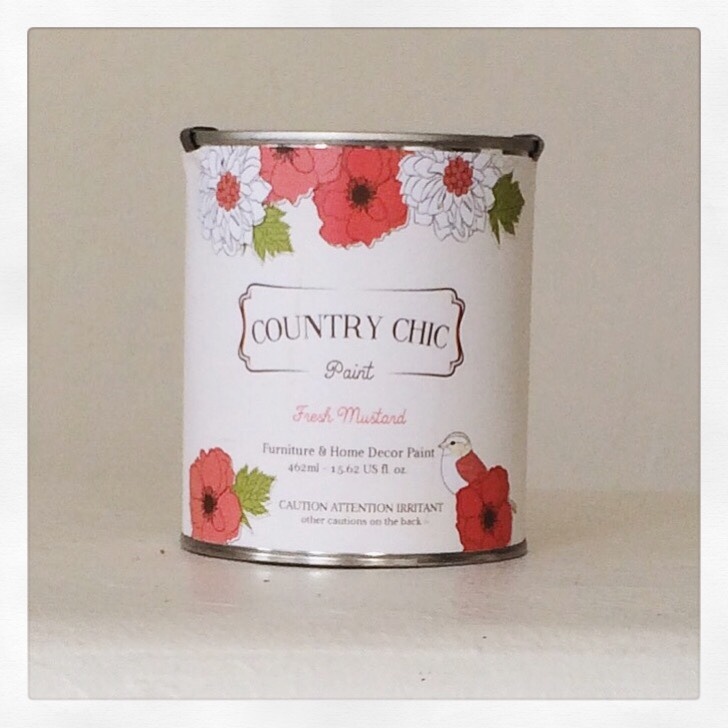 If you haven't yet tried Country Chic Paint before, you're really missing out! Country Chic Paint is a chalk and mineral based paint that goes on so smooth, dries quickly and produces such a beautiful finish. It's really one of my top three favorite paints to work with! 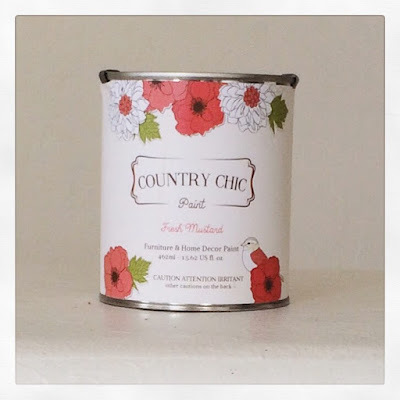 I decided to put Country Chic Paint to the test. 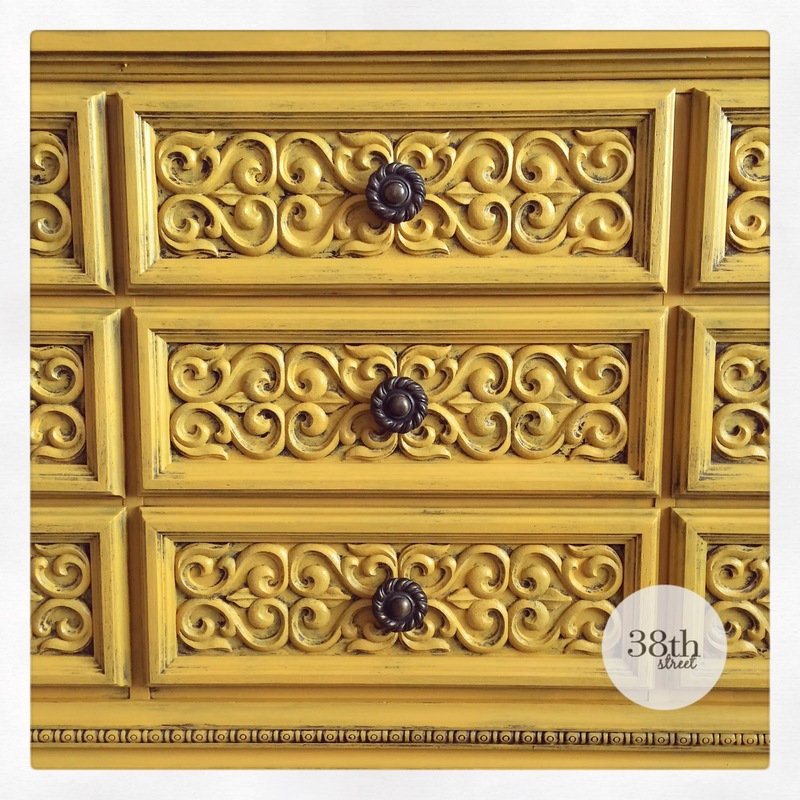 Could I really push the limits and complete a dresser transformation with just one pint of paint? I was a little nervous. Then, I reminded myself that the theme for this project was "Go Big and Bold or Go Home", so I went for it! 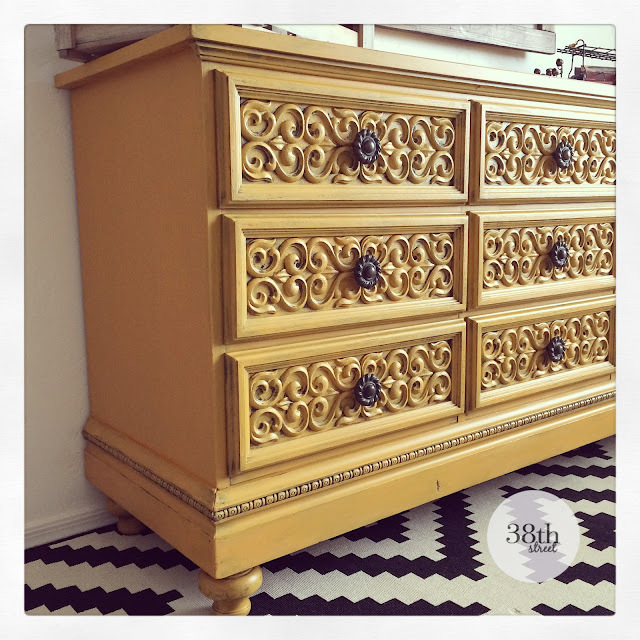 Before I opened up my can of Fresh Mustard paint, I added bun feet to the bottom of our dresser. If you're interested in learning more about how to add legs to furniture, you can check out our full tutorial here. To keep with the Old World look, I opted to give it a heavily distressed finish. But, I didn't use sand paper and I didn't use a wet rag to accomplish this. 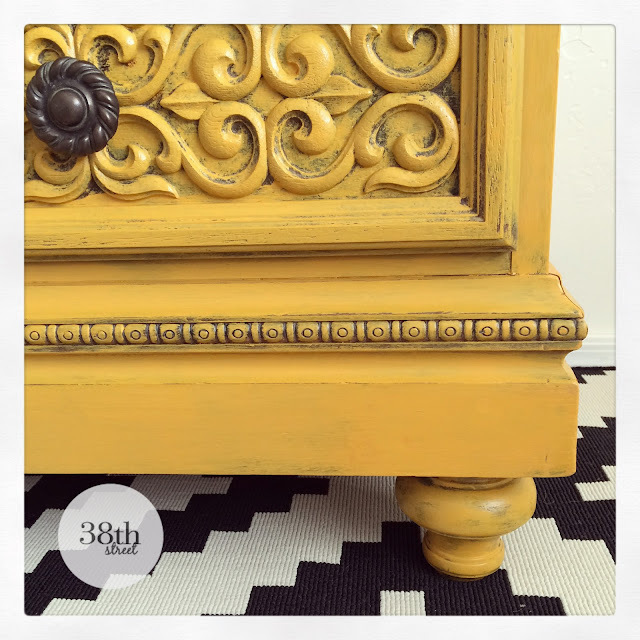 Instead, I used a Reverse Distressing technique explained here in our Guest Post. From drab to fab, The Thompson Dresser is brighter, bolder and a little bit taller. Encouraging you to do something Big and Bold this week! If you do, please leave me a link in the comments, I'd love to see what you come up with! Love it <3 Question for you, my dear - what kind of brush do you use when reverse distressing? Thank you Stacy! My brushes aren't fancy. ;) I use good old Purdy 2.5" flat paint brushes when I reverse distress.